October- March of 2014-2015 was the warmest October-March on record with temperatures 4.7 degrees Fahrenheit above normal. 99% of Washington State is in severe drought status. By contrast, in August 2014, 19.99% of the state was in severe drought status. 40+ streams and rivers are closed to fishing. June was the record warmest June air temperature for most of the state and the 3rd driest June overall. A majority of monitored rivers recorded their warmest water temperatures EVER for the week of July 17th. This year’s drought is not really the result of precipitation rates. As of July 24th, in fact, precipitation rates were at 94% of normal for the water year (Oct-Sept). 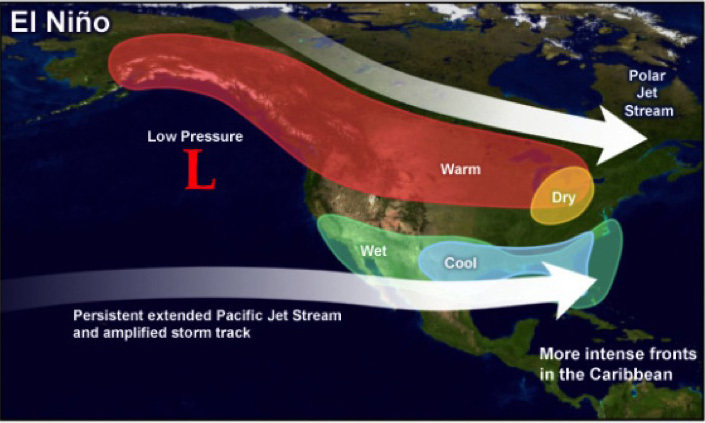 This summer’s drought is more a result of the warmer winter temperatures that caused precipitation to fall as rain rather than snow in the mountains. To exacerbate the lack of water stored as snow, we have had well below average precipitation in the summer months — 43% of normal. A tweet from National Weather Service after the August 15th rainfall in Seattle drove home the lack of rain this spring and summer. The 1.20 inches of rain the city received that day was exactly equal to the entire amount of rain received from May 1 – August 13 this year. Water users within those areas will likely incur undue hardships as a result of the shortage. On July 13th, the legislature approved $16 million to help relieve drought hardships. The drought funding will help support projects that ensure reliable public water supplies, augment water supplies for farmers, and rescue or preserve fish runs in streams. Visit DOE’s webpage on the drought at http://www.ecy.wa.gov/drought/ for links to this grant program and other useful information. The drought is impacting our state in a number of ways. There are supply shortages for agriculture, increased risk of wildfires, fishing closures and threats of fish mortalities. Dried up irrigation ditch in Eastern WA. Drinking water supply has not been a major concern, but irrigation supply certainly is. The Washington Department of Agriculture is predicting a $1.2 billion crop loss this year as a result of the drought. In the Yakima Valley, irrigation districts are cycling water uses for weeks at a time to try to extend reservoir supplies later into the season. The Walla Walla River went dry near Touchet in July because of low flows from the drought and water being diverted to fight wildfires. The Washington Department of Ecology has limited water supplies to over 500 irrigators to sustain stream flows for fish. 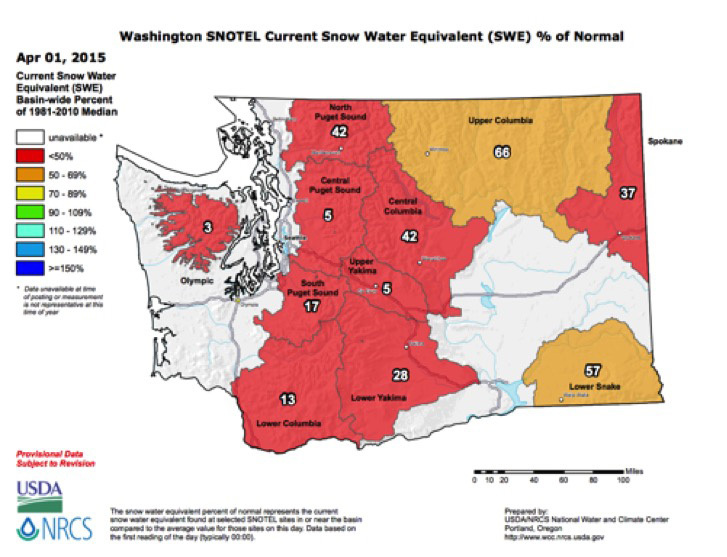 The drinking water supply is not a major concern because reservoirs were filled early this season and at first no impact was predicted from the lack of water storage in the snowpack. As the water season has progressed, though, lack of rain and warmer temperatures have brought higher customer demand. This led to the larger municipalities asking for a voluntary 10% use reduction from their customers in early August. The lack of snow storage in the higher elevations coupled with higher than average temperatures have increased our risks for wildfires. In 2014, wildfires burned six times as many acres as usual: 363,000 acres. As of August 28th this year 785,247 acres have burned in the state of Washington. Compare this to the average amount of acres burned in each of the past five years: 61,000. The Okanogan Complex of wildfires in Eastern Washington now covers 256,567 acres and is now the largest in the state’s history. The Washington Department of Fish and Wildlife (WDFW) has closed areas to fishing this summer as well. There have been over 40 fish closures or restrictions on fishing in Washington rivers. WDFW will close sturgeon fishing on portions of the Columbia and Snake rivers under temporary rules to reduce stress on the fish caused by low, warm water conditions. 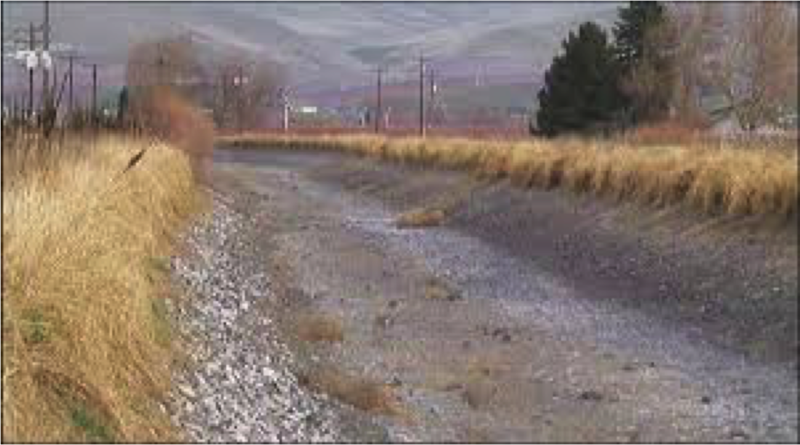 In the Walla Walla region, water (when present) is being shifted from creek to creek to keep water flowing for steelhead, Chinook and bull trout. Fish are even being hauled farther upstream to cooler water. The lack of water supply affects the fishery in two ways. First, many fish simply cannot reach their accustomed areas because water flows are so low. Second, the lower flows and warmer air temperatures mean warmer streams, creating thermal barriers to certain fish species, as in the Stillaguamish. Migrating fish can’t reach all their usual habitat areas, and they concentrate in certain areas, making them easy pickings for predators and fishing pressure. Low dissolved oxygen levels in isolated pools can also be lethal to fish. 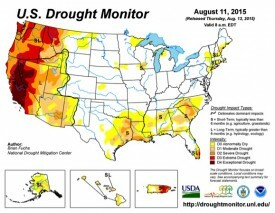 Unfortunately there is no reprieve to our drought status on the horizon. There is a greater than 90% chance that El Niño will continue through the Northern Hemisphere during winter 2015-16, and around an 85% chance it will last into early spring 2016. With the typical El Nino pattern resulting in drier and warmer conditions in the Pacific Northwest, we are looking at a strong chance of continued droughts. As we do our best to cope with this summer’s drought, we may well be learning lessons we will put to use next summer and beyond.